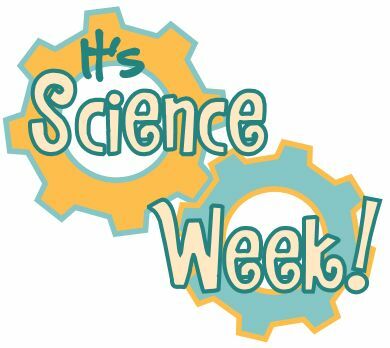 We are nearing the end of Calvert 1st grade, so we decided to knock out the last two chapters in our science book with a dedicated Science Week! So far we have explored position and force and simple machines and magnets. See also Day 4 and Day 5. 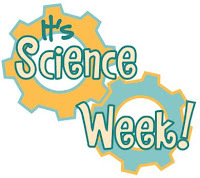 Welcome to Science Week day three! The rest of the week we will be learning about different types of energy. Our activity today involves energy and heat. Energy is the force makes things work or change. Heat is energy that makes things warm. Today we filled a mug with steaming hot water. We filled another mug with ice-cold water. Heat can be measured with a thermometer. It was fun putting the thermometer in the hot water and watching the red line shoot up! Our water was very, very hot! It was over 140 degrees Fahrenheit! If you do this experiment, please be careful not to get burned. Once we recorded the temperature of the water in both of our mugs, Miss M activated some glow sticks. 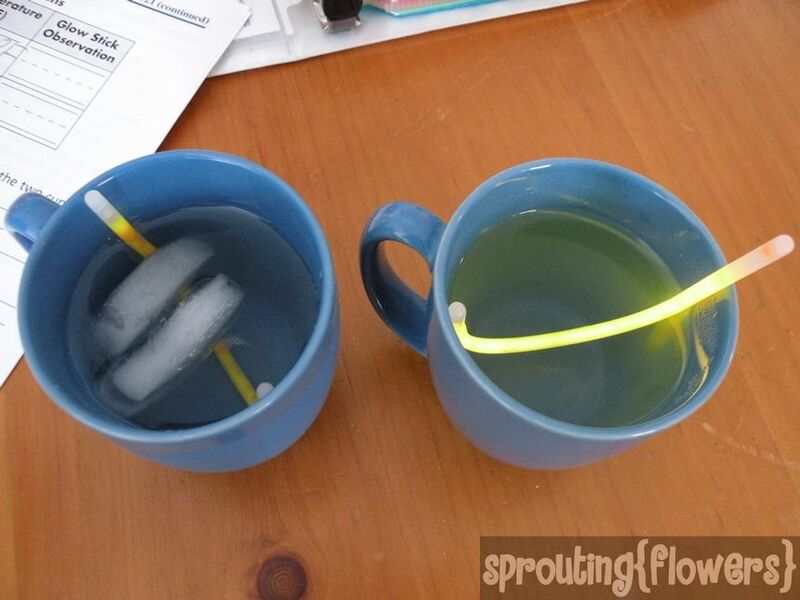 Did you know glow sticks are transparent plastic tubes that have chemical substances in them that can produce light? When the glow sticks are activated by bending them, the chemicals combine and react to make the glowing light that we see! 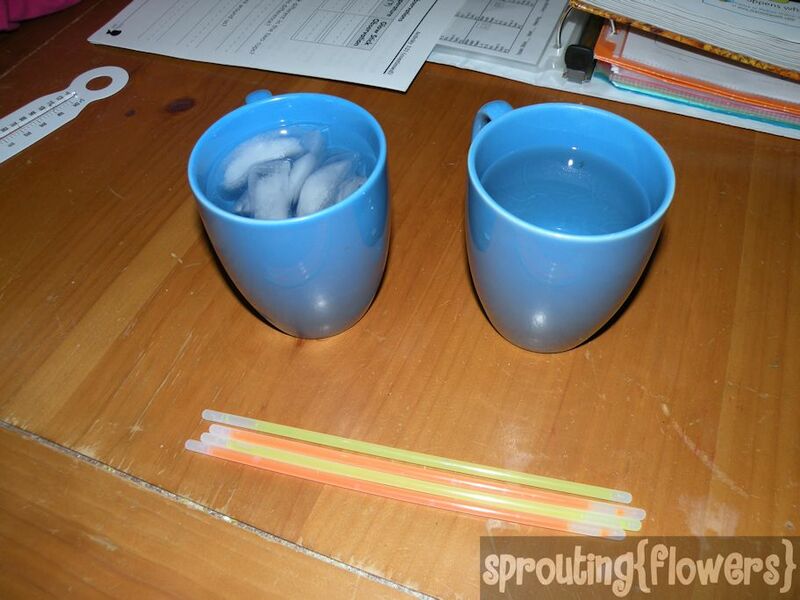 We put one glow stick in the hot water and one in the cold water. Do you know what happened? The glow stick in the cold water got very dim, but the one in the hot water glowed extra bright! Why did this happen? It's because the energy in the hot water (remember, heat is a form of energy) caused the chemical reaction inside the glow stick to speed up releasing more light. 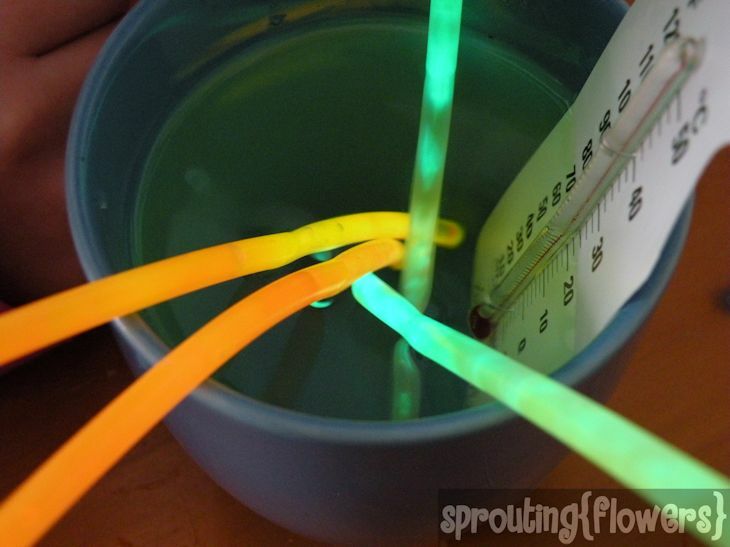 We activated more glow sticks and put them in the hot water to see them glow brightly! Miss M thinks it would be fun to take glow sticks in the bathtub in the dark. What is your favorite way to play with glow sticks? Day 1, Day 2, Day 4, and Day 5!